Part One: You would say that, wouldn’t you? I was asked recently what I thought about using free, template-based, do-it-yourself website builders as an alternative to paying me to design a business website. Which would be fair comment. So I figured I’d better give the matter some careful thought. Just what exactly do I offer that is better than doing it for yourself? I want to start off by telling you a shaggy dog story that a lot of you will have heard before. 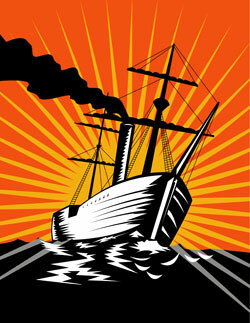 Ever heard the story of the giant ship engine that failed? The ship’s owners tried one expert after another, but none of them could figure out how to fix the engine. Then they brought in an old man who had been fixing ships since he was a youngster. He carried a large bag of tools with him, and when he arrived, he immediately went to work. He inspected the engine very carefully, top to bottom. Two of the ship’s owners were there, watching this man, hoping he would know what to do. When he went down to the engine room he felt the pipes with his hands, took out a stethoscope, listened to the pumps, and finally placed one of his hands on one of the gauges with his eyes closed. After looking things over, the old man reached into his bag and pulled out a small hammer. He gently tapped something. Instantly, the engine lurched into life. He carefully put his hammer away. The engine was fixed! A week later, the owners received a bill from the old man for $10,000. Obviously this story is designed to illustrate the value of expertise and the gulf between knowledge and effort. So I have a few remarks to make on why you should make a distinction between a site built by a free, online web builder and one built for you by a professional who knows where to tap. Part Two: Do you have any experience as a designer? Part Three: Do you do everything yourself? Don't just take my word for it. 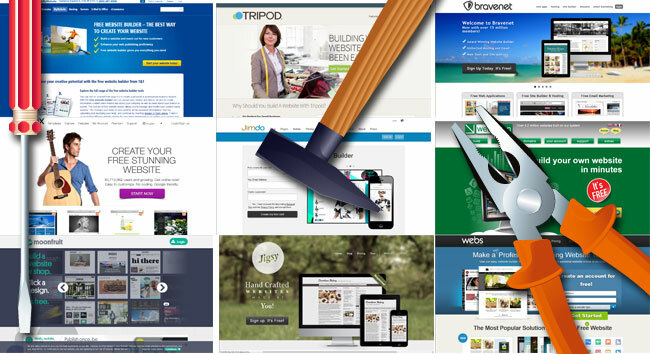 Have a look at some of the many free online website builders you can choose from.